Building an innovation strategy at a large enterprise is a big challenge. We simplify that by helping you connect to startups that can directly impact your business and technology goals. 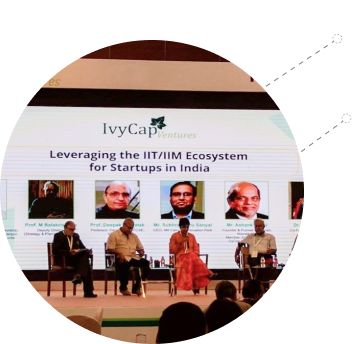 IvyCamp has partnered with IIT’s, IIM’s, ISB, BITS and over 50 premier institutes, venture capital firms, accelerators and incubators in India and globally for direct access to 10,000 high potential startups. Our technology focus areas are AI/ML, Blockchain, IOT, Data Sciences, AR/VR, Conversational Interfaces (Chatbots, Voice Device Interface etc) across Banking, Insurance, Healthcare, Retail, Manufacturing, Real Estate and Education. 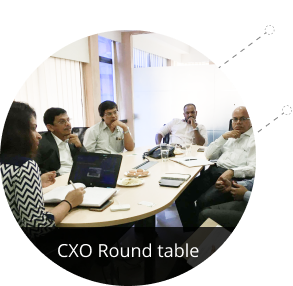 Through our extensive network of entrepreneurs, mentors, technologists, researchers and investors, we have matched 500+ startups to corporations in multiple formats tailored to each enterprise, including setting up corporate accelerators and open innovation programs in India. Build a network of external capabilities leveraging IvyCamp’s global alumni startup ecosystems. These engagements will accelerate your product development lifecycles from years to weeks.